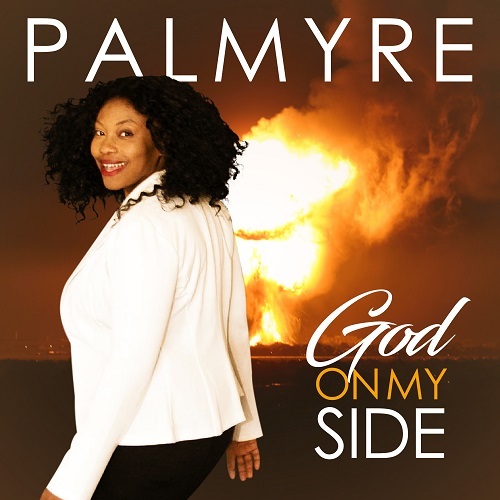 God on my side was created by Singer Songwriter Palmyre Seraphin. She is a multi – language Gospel/Christian Recording Artist. Palmyre Seraphin was accepted to joined Devine Jamz Gospel Network as one of the top Featured Spotlight Artist. Presently, Palmyre makes music that caters primarily to the French-Creole speaking community. Palmyre last two studio albums have been successful on the Haitian market and because of her ability to sing in three different languages, the interest shown in her music, blessings fans encountered by listening to it, she is focusing on a new targeted audience. Palmyre will release at least 3 successful singles before she releases her complete album in English. Through Devine Jamz Gospel Network Palmyre is currently trending on TV websites, Radio websites, Newspaper websites, and Journals. Palmyre shares a transparent story behind the music she recorded with multi-media outlets and on her social media platform. “You better know what time it is” is the first Single released August 2018. God on my side is going for radio adds. The marketing team at Devine Jamz Gospel Network feels confident that “You better know what time it is” has the type of sound you hear playing on Christian/Gospel radio stations. It’s an upbeat sound full of inspiration and personal testimonies, which a listening audience can relate to. Devine Jamz Gospel Network believes the song even has the potential to chart providing it receives the number of spins to compete with other recording artists in the same format. At worst, Devine Jamz Marketing Team Leader Ray Oster projects the song will rank on DRT’s Top Gospel/Inspiration Radio Airplay Chart at #10 or better. Ray also says that the song will receive Devine Jamz’s Commercial FM Christian Radio Airplay Campaign, which is not offered to every recording artist. Ray and his team of promoters at Devine Jamz Gospel Network are going all out using public relations resources and speaking with executives about Singer Songwriter Palmyre amazing project. “You better know what time it is” can be obtained free of charge by going to Palmyre’s Official Website during the early release period at the end of August 2018.